The SaGa series is a fantasy/sci-fi based traditional RPG series by Squaresoft Square Enix. Square had their megahit Final Fantasy series, so why did they bother to make another series? 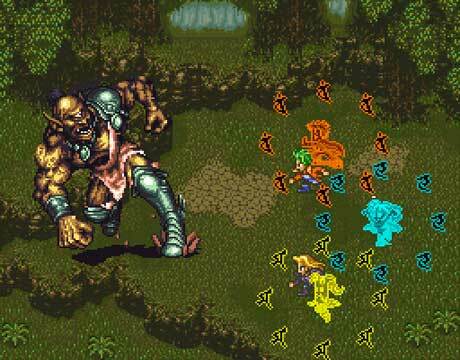 The SaGa series was made for replay value and the fun of RPG battles. Each title allows you to choose between many characters. There are typically four races: humans, mutants/mystics (the magic users), robots, and monsters. You quest through a variety of worlds such as futuristic cities, suburban neighborhoods with ancient temples around the corner, mystic villages, sky cities, ancient forests, palaces of the gods, and more! Given that the focus is on adventuring the stories never get too in-depth; with the mass of characters there isn't much character development. The SaGa series isn't terribly popular. The whole “mass character, limited story, lots of questing” thing didn't win many people over. However, those who did give the series a try passionately fell in love with it. As intended, being able to play the game with a completely different party every time does provide for a great deal of reply value. 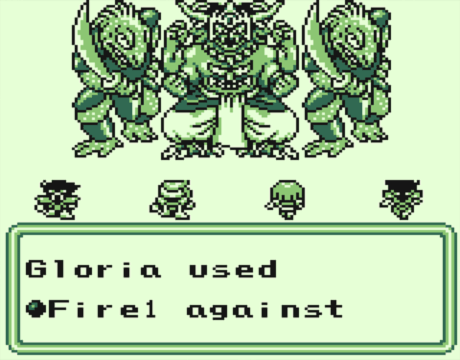 Until Pokémon came out, Final Fantasy Legend 1-3 were the best RPGs Game Boy had to offer. 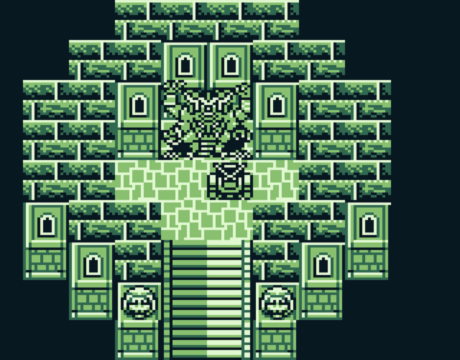 Square's first RPG on the original 8-bit Game Boy! In Japan this is called simply “SaGa”. In North America they gave it a Final Fantasy label to make more $$$. They say those who enter the tower find paradise! Dare to make the adventure and voyage through four worlds: land, ocean, sky and a future city. 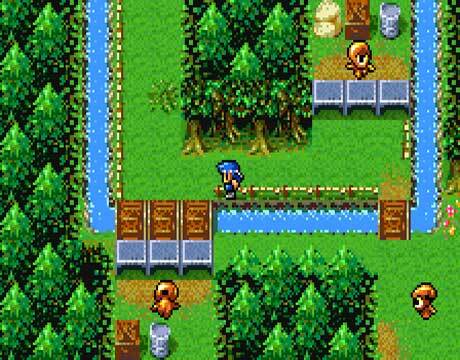 The battles are typical of the original RPG formula with having only the enemies and attack animations in view. Enemies are in groups; for example, you might see 2 enemy sprites but one sprite has a number “2” and the other has a number “4”, representing how many are in the group. 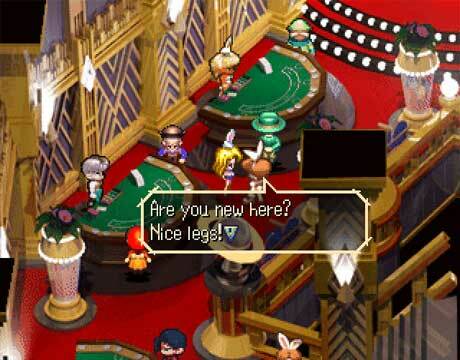 Final Fantasy Legend 2 improves in every department. Instead of a tower connecting worlds, you trek through a fascinating alternate dimension made up of clouds and a myriad of large plant like vines. There's double the amount of worlds you venture through. Some are larger than others. This time the gods play a role in the story! One of them becomes the final boss. The premise is that your adventuring father leaves home and as his son you want to find him. You collect “magi” to proceed into the game (they give you stat boosts!). 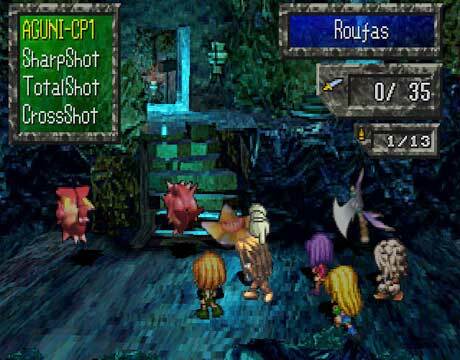 The battle system remains unchanged from the original Final Fantasy Legend. Out of all the Final Fantasy Legend games this one is my favorite. I think the soundtrack is best, too. Final Fantasy Legend 3 takes a more traditional RPG approach. Instead of trekking through different worlds, you travel through different time periods. A mysterious fountain is flooding the world and increasing the amount of monsters. Your job is to find out how to stop it! Just when you think the game is close to ending, you enter the fountain and find much more. The battle system gets closer to the traditional Final Fantasy formula. This time, the heroes and all enemies are in view. 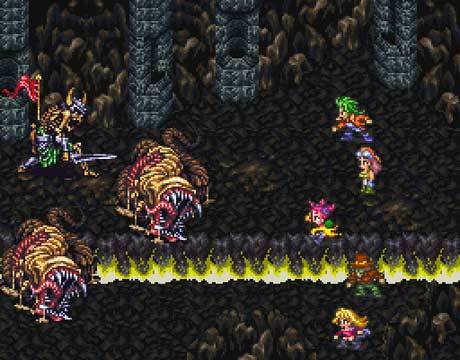 “Romancing SaGa” is what Square called the SaGa series on the SNES. They made three Romancing SaGa games; this one being the third and last. Instead of choosing generic characters like in the Game Boy Final Fantasy Legend titles, this time you're presented with 8 specific characters. Each one plays a role in the story. Some of these 8 characters can even join your battle party. Figuring out what to do in this game can be confusing. You really need to talk to everyone in towns to figure it out; new paths are opened on the map when you speak to the right person. The battle system is very similar to that of Final Fantasy. I think the best part of this game is the high quality and creativity of the enemy artwork. SaGa Frontier (a.k.a. “SaGa 7”) brings the SaGa series into the 32-bit era! So what did Square do with the power with the Playstation? They took the Romancing SaGa series to the next level! You have 6 unique characters to choose from. Instead of consolidating the characters to a single story, each one has their own story. Half of their adventures are 'core' quests that every character shares, while the other half are unique to that character. Each character's game ends with their own final boss. Robots and mystics make a comeback (they were left out in Romancing SaGa). Robots even have the same nifty system of equipping them with weapons/armor to increase their stats. Since Square is all about remaking their hit titles, the original SaGa (Final Fantasy Legend) got that treatment on the Wonderswan Color. It sounded like a good idea at the time, but the system didn't do too well. Nevertheless, this was a welcomed remake. It's the same exact Final Fantasy Legend that we all know and love, just with better graphics and music. It took a decade wait, but finally in 2011 the fanbase created an English translation for this game.